Ya gotta hope the SEC was already investigating Mozilo and the goings-on at Countrywide. But then again, like most of our institutions, they're probably run by monkeys too. Three cheers for NC Treasurer Richard Moore. Hopefully this is the start of something good. And yes, like Mozilo, I'm short CFC. And hat-tip to mlimplode for the image - get your shirts over there! RALEIGH, N.C. (AP) -- State Treasurer Richard Moore has asked the U.S. Securities and Exchange Commission to investigate the timing of stock sales made by the chief executive of mortgage lender Countrywide Financial Corp.
Moore, the trustee of a pension fund that holds more than $11 million in Countrywide shares, said in an Oct. 8 letter to SEC Chairman Christopher Cox that he was "shocked" to learn that CEO Angelo Mozilo "apparently manipulated his trading plans to cash in" as the subprime crisis was heating up. "As one of many investors who have felt the painful losses in Countrywide stock, I am outraged at his manipulation of the system and this abuse of shareholders," Moore wrote. "The timing of these sales and the changes to the trading plans raise serious questions about whether this is mere coincidence." Moore cited reports that Mozilo was unloading 4.9 million Countrywide shares worth more than $138 million between November 2006 and August 2007. Moore said that at least three times over five months starting in October 2006, Mozilo reportedly changed the plans that outline how many of his shares would be sold monthly. That, said Moore, allowed the CEO to sell the stock before prices fell dramatically. the SEC, like the DOJ, is a neutered little lap dog. nothing will come of this. if this post appears several times, i apologize- user error. I disagree. I recall Diana Olick's blog reporting of a conference Paulson held recently w/ Mozilo along with all the other bankers in attendance. Paulson made veiled negative comments directed at Mozilo Inc. in regards as to how he was screwing up Paulson's economy. Paulson was pissed, Mozilo fired back in post conference press comments. So basically, the Feds just might hold Mozilo up as a whipping boy to take the heat off of them when we fall into a sub-prime housing led recession. Mozilo's almost done getting rid of every Countrywide share he owned this week. And then, all bets are off! North Carolina has several pension plans that own a total of 506,000 shares in Countrywide, or about $9.5 million at yesterday’s closing price. Mr. Moore serves as trustee of the state’s $87 billion in pension plans. Late Friday, Countrywide said that Mr. Mozilo would sell almost all of his remaining shares this week before his October 2006 selling program expires at the end of the month. "North Carolina has several pension plans that own a total of 506,000 shares in Countrywide, or about $9.5 million at yesterday’s closing price. Mr. Moore serves as trustee of the state’s $87 billion in pension plans. Bagholders... How come they didnt have a stop loss? Oh yeah, they were holding for the LONG TERM. Mozilo has friends in high places. He is more likely to be appointed as the new mortgage czar than be arrested, or have his money taken away. And CFC cannot function & have the same revenue stream without subprime. Not only has loan volume dropped by almost half, we all know that fees generated by prime conforming loans are a fraction of sub-prime & jumbo-non-conforming loans. CFC cannot survive in its current form w/o sub-prime based revenue, PERIOD!! Forget CFC, what about BZH??? "Beazer to Restate Earnings After Mortgage Unit Probe (Update3) "
Oops! We didn't actually sell those homes, we leased them. Did I do thaaaat? "[Beazer] will restate earnings going back to 1999 after an internal probe found its mortgage unit violated federal regulations. The inquiry also found accounting errors in the company's sale-leaseback program. " First you had an obession with Casey. Now that he is gone your new obession is this guy. Give it a rest man, it's funny once, twice, three times. Now you look like a guy who is stalking the neighbor's daughter. Let me tell ya. Orange MOzilo is a POS but this guy needs to blame whoever runs that pension plan. Everyone with a brain knew the meltdown was coming. Shared sacrifice? That's not the way it works in a market. This thing will get played out like the Apple back-dated options investigation. The SEC went after Martha stewart for a mere $250,000 trade when she had inside information so I would assume they'll go after Mozilo for..........oops, I forgot, Martha is a democrat. Will Paulson get equally angry at Bernanke for not reinstating the 23A Tier Capital exemptions? I'm not gonna let up. Not until the day he reports to jail. 30-yr fixed nearly paid off ? Want a new Beemr ? This is the best blog. Thanks for informing the sheeple, but many dopes are not listening. I think he is going to get spanked hard. Paulson does not like this guy, because he is the poster child for this whole mess. PUHLEEZE!!! Paulson is a bigger maggot than the tan man ever thought about being. Pull your head out! CFC wristband for sale on ebay. Hat tip Implode-o-Meter. Its up to 102 USD for a 25 cent piece of rubber plastic!!! That will feed a laid off CFC worker for awhile!! "Shared sacrifice": We get our share, we get your share, you get the sacrifice. "Family Values": When I'm indicted for perversions, I'll haul my whole embarassed family in public and whore them out for sympathy. "Strong Dollar Policy": Our paper towels can absorb 50% bigger spills! "U.S. Treasury": RNC bank account. Love to see Orangezilo in an orange jump suit. 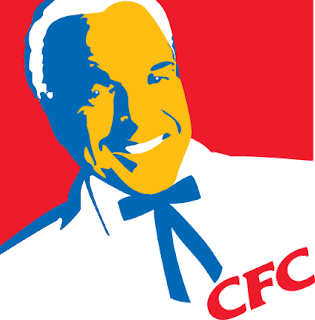 I wonder how many Countrywide employers are now selling Kentucky fried chicken? THE FED HAS ANNOUNCED THEY ARE IMPOSING A MANDATE OF A STRONGER DOLLAR!!! THE NEW $1 DOLLAR BILL WILL BE MADE OF CARDBOARD AND BE PAINTED ORANGE. ALSO BE CONSUMED IN CASE OF TERRORIST ATTACK. just a bunch of bitchy loser liberals! Pathetic. All of you are complaining and pointing fingers. This guy did nothing wrong. He had a right to sell his shares, and did so legally. He is not obligated to ride them lower. Grow up and get some sack. it's about time they're investigating this guy....now he's trying to save the ARM borrowers to cover himself!